I graduated from NGFS in 2012 after going to school here for my entire life. From a very young age, I was taught to go beyond a textbook. I was taught to think critically about why what I was learning was important, how it applied to the real world, and how I could use what I had learned to become a thoughtful and productive member of my community. Beginning in kindergarten, I learned the power of service rooted in compassion, respect, and a sincere dedication to the well-being of those around me. In middle school and high school social studies classes, I took part in discussions that were challenging and meaningful. I learned to not to be afraid to engage in honest dialogue, even if it’s really hard and scary. But beyond this, the most distinctive and remarkable aspect of NGFS for me is that I felt empowered here. I learned that diversity is not just something to be tolerated, it's something to be celebrated. I was told that what I say matters, and that I have the power to influence what happens in my life and in my community. And that's important, especially today. Every young person should know deeply that their voice is strong and important. These real-world experiences matter because the tools and knowledge we are equipped with in school are only as valuable as the ways in which we choose to use them in our lives. I feel very lucky that I was surrounded by adults who helped me develop the confidence to make a difference. NGFS is a small community in a small corner of the world, but what we learn and who we become at this school far transcend the four walls of a classroom. We cannot overstate how happy we are that we chose to begin our children’s education at New Garden Friends School. At NGFS, they have received the love and individual support that has helped them grow and develop as people. We believe that as a result of the rich environment provided by NGFS, they have both developed a genuine excitement for learning. Some days, our children spend long hours at school and in the aftercare program, and it has been hugely comforting for us to know that this time is spent in a safe, fun and wholesome community. It is so great to see them happy, well adjusted and looking forward to learning new things. My mother says she picked New Garden Friends School for me because she wanted a place where I could safely make mistakes. 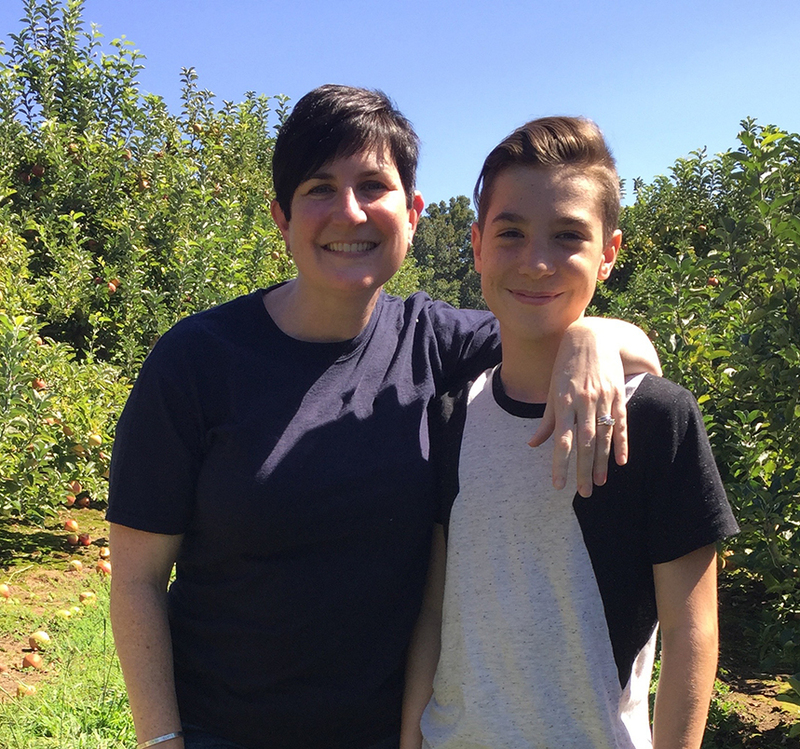 Choosing a school for my own child, I knew that I wanted a place where my son would be loved and cared for by a community of teachers who would teach him more than math and reading and writing. I wanted a place where he would learn about the broader community he lives in and his responsibility to share his gifts. Now an eighth grader, he has made his share of mistakes in this safe place, a place where our failures are used as guides to help us become better as scientists, mathematicians, writers, debaters, and humans. My son is a fierce friend, advocate for his peers, and is becoming a person I am proud to know. NGFS is still very similar to the school I attended more than 30 years ago; it remains a place where rule followers can make mistakes, mutual respect is the expectation, and teachers look for opportunities to pull the very best out of students, both academically and personally. 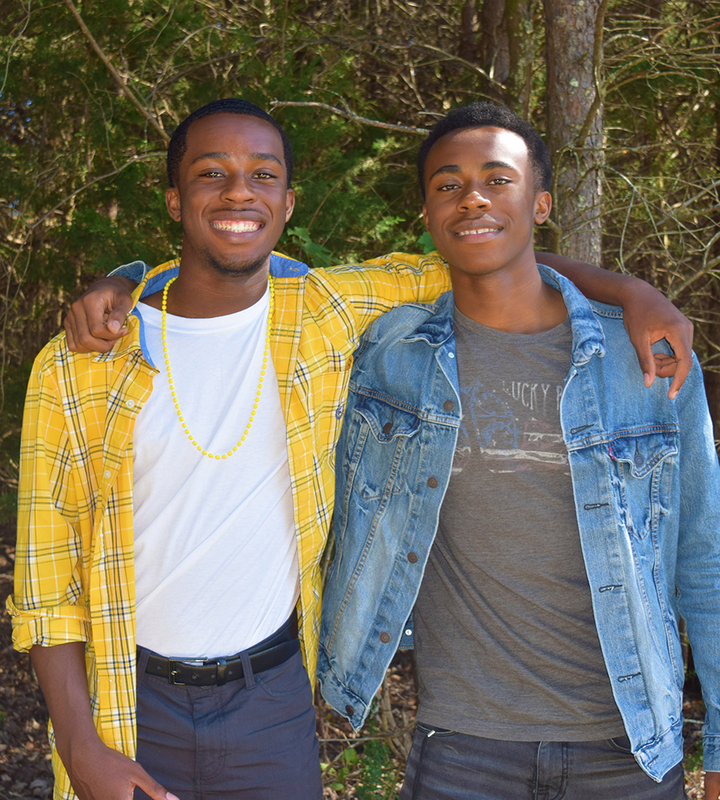 Jabari and Jelani have attended NGFS since 7th grade and have been involved in many aspects of student life including as members of the soccer, cross country, and chess teams. They have also served in leadership roles as part of the prom committee and Meeting for Worship planning (Quaker Life). Additionally, Jabari plays in guitar ensemble. Their shared experiences as part of the NGFS community pushed the brothers to explore Quakerism more in-depth and appreciate how the testimony of equality is woven into so much of what goes on at New Garden Friends School. Jabari says, "Our school community has pushed me to become a better leader and to take the value of respect with me wherever I go." Now as seniors, Jabari and Jelani reflect on their time at NGFS and both cite the faculty and staff as huge influencers. Jelani says, "The teachers here really want to help you, with school and to grow as a person. Being part of a team and understanding what teamwork truly means has made a difference in my life." 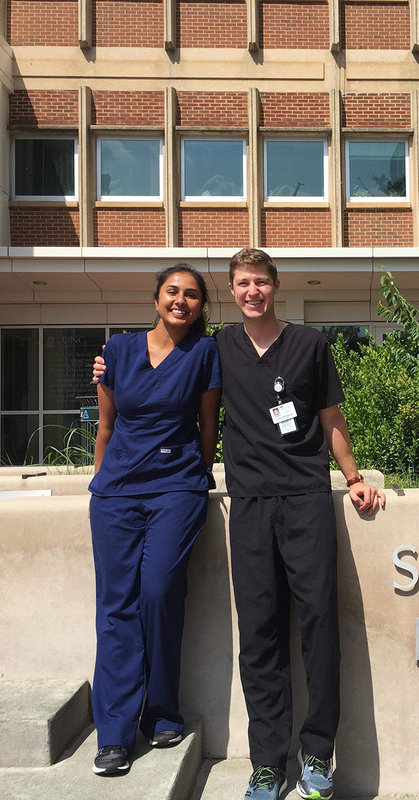 As they look forward to graduation, college, and beyond, the Campbell brothers will take the lessons learned at NGFS both in and out of the classroom with them wherever they go.